I never planned on writing this out- not on purpose, but mainly because this year quite literally flew by. But as December 31 rolled around it was just on my heart to stop my day to day tasks and reflect on what all this year has brought. Not really with intentions of sharing it with others, but more to just sit and reflect on what all God has done in our life. To start, let me just say I couldn’t wait for 2018 to get here. I was so ready to kiss 2017 goodbye. The only positive thing I have to say about 2017 is we received one of our biggest blessings, Harvey- other than that it sucked. My marriage completely crumbled to dust and I didn’t see how I could pick up all the pieces to move forward. I watched an interview from my favorite author, Lysa Terkerust, and she was talking about how our dust is the perfect recipe for the Creator’s hands to form into clay to make something new. At the end of 2017 God laid the word “Restoration” on my heart. I was expectant for restoration in our marriage, family, and finances. 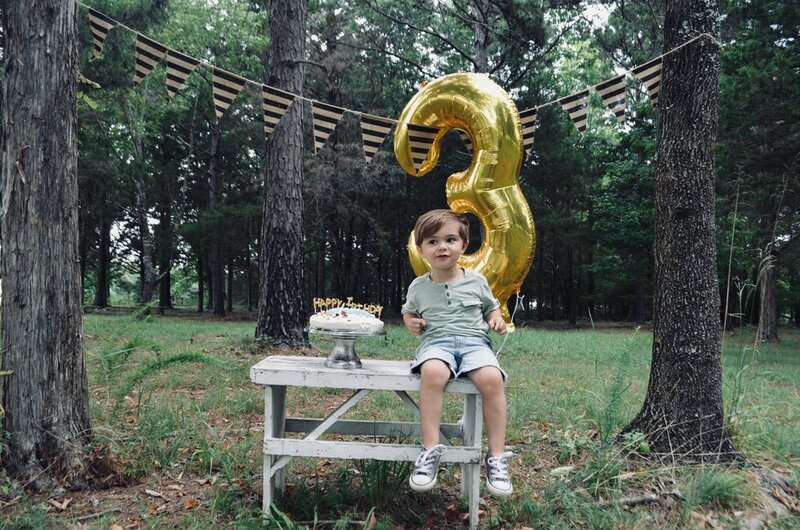 Why I’m sharing this on the blog, is because 1. I have sucked with keeping up with this.. I know, so sorry guys. I actually wrote a post about why I broke up with blogging & then never got around to posting it. Yes, life is that busy around here. 2. I hope that the one person who needs to read this will read it and see there is hope on the other side of heart ache if you give your dust to God, along with control, and let Him do His thing! Hope you enjoy. -End of January 2018, Zach quits his temporary job, takes a leap of faith and starts to work full time on finishing our Airstream to live in. 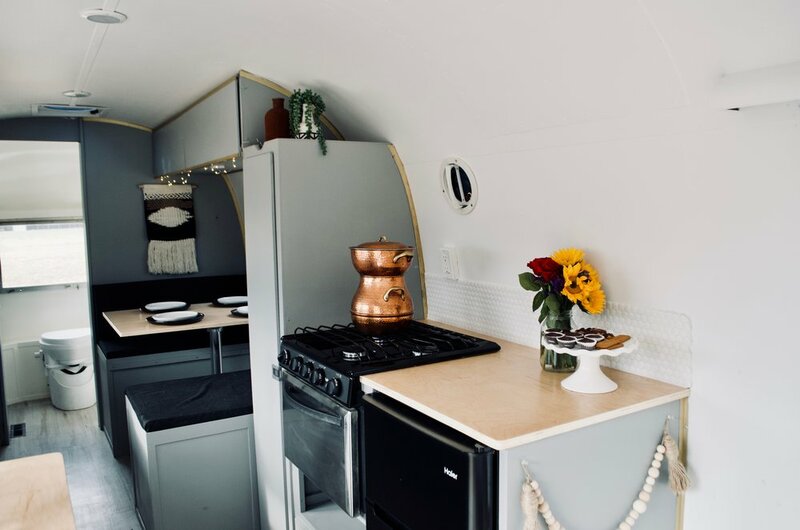 We then come to the conclusion Zach is going to go back to school for Aircraft Mechanic out of state, so we would live in our Airstream to cut costs. We found a school, a place to stay, etc. All we needed was a finished Airstream & a tow vehicle since my 4Runner wouldn’t cut it. 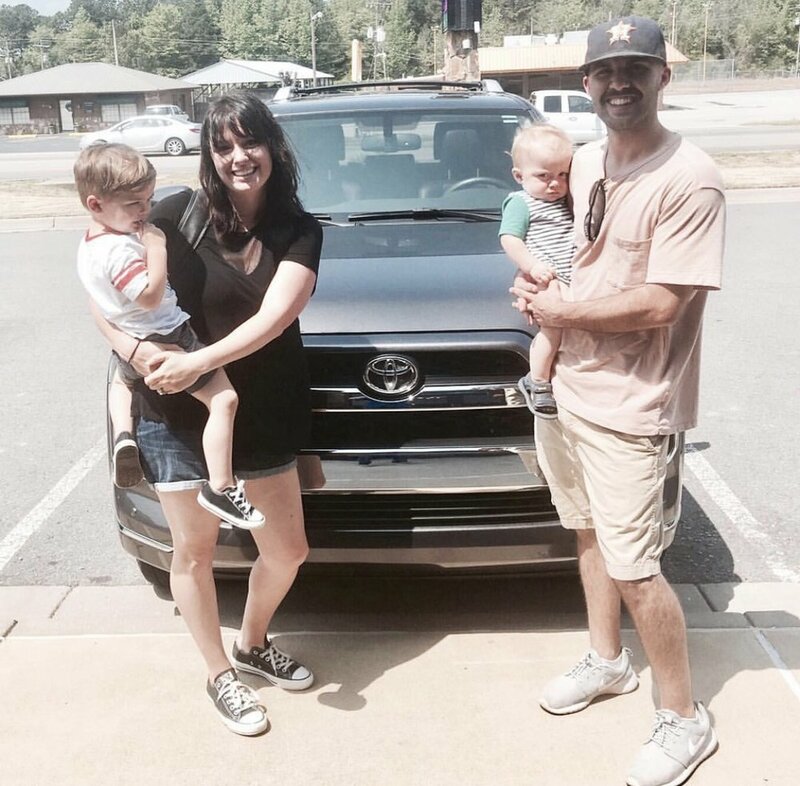 We started to look for a bigger car & settled on a Ford Expedition because we thought we outgrew my 4Runner since we had two car seats and a double stroller in the back. We went to a dealership and found the perfect used one, which by the time we traded in my car we would walk away note free. It seemed like the perfect idea. Zach and I were blinded by new car love, so we asked my dad to come along and look for anything we were missing. Luckily he did and the deal didn’t seem so grand anymore. Luckily we walked away and didn’t let our flesh take over, because God obviously had other plans. -Beginning of February, we decided to list my car online and if it sells we would then find a new car. My car sat and sat with no bites. -March rolls around and at this point we are second guessing Zach going to Aircraft school. We would take on a lot of student debt, which is something we aren’t comfortable with and along with full time school Zach would have to get a job so we could live, LOL and that would mean we’d have zero family time, which we were NOT okay with. And my car is still for sale. -Beginning of May, God whispered to me, “What if you sold your car to fund a new project”?! Around lunchtime that afternoon I told Zach, “hey, what if we sell my car and use that money to fund a new airstream project. We’ll just both use your truck and not have two vehicles.” Zach said-“Absoustley not, I’m not making you give up your car.” And guess what?! Right after that conversation- 9 minutes to be exact, I checked my phone and we had an email from a couple 1.5 hours away offering us exactly what we wanted for our car. We said “Well, this must be exactly what God wants”. We wanted to continue to live a debt free life so this meant we could reinvest this money and not take out any loans. They came to pick it up two days later, on our wedding anniversary that we didn’t think wed make it to. A week later we found our next project, Magdalene. Zach and my dad drove to Quitman, TX to pick it up. Then we also acquired a second Airstream project from someone in Little Rock that we couldn’t pass up. -June, We officially get rid of all our stuff & become a member of the tiny living club. All Zach’s hard work pays off and we get to move into our new (tiny) home. We don’t get any down time after that because now the clock is ticking on our new project to flip. We work, well, Zach worked his booty off on restoring Magdalene. We started a Youtube channel to keep up with progress and post videos of hikes or well, anything really. 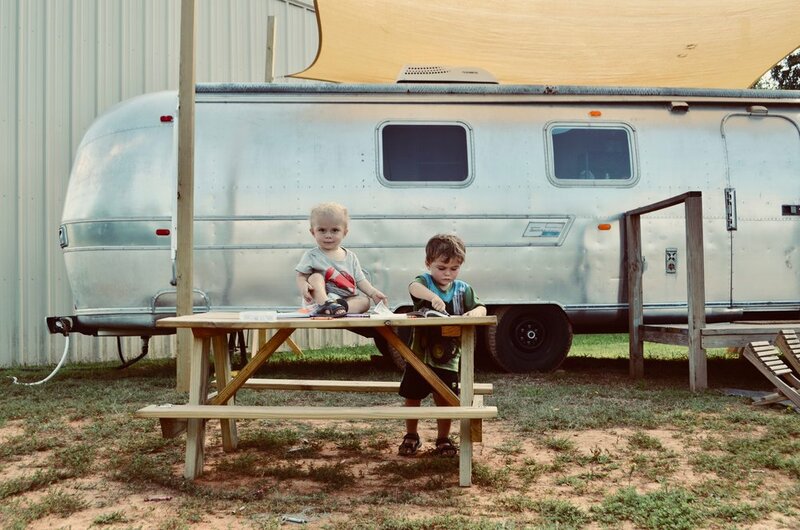 Our living set up had us hooked up to the hanger/shop with our airstream. Which was super nice because Zach could wake up before us and get an hour or two of work in before the boys and I woke. We’d eat breakfast together then he would get back to work until the sun went down. It was a very busy season. BUT, Fall rolled around and I reminded Zach while on a walk that we couldn’t keep the water on in the Airstream because the hanger wasn’t insulated, so on cold nights we had to cut the water off, which in turn would cut our water to the Airstream off. We started brainstorming on what to do. We’ve always wanted to travel, but 1. We don’t have a tow vehicle. 2. We don’t have a way for us to “make money” on the road. 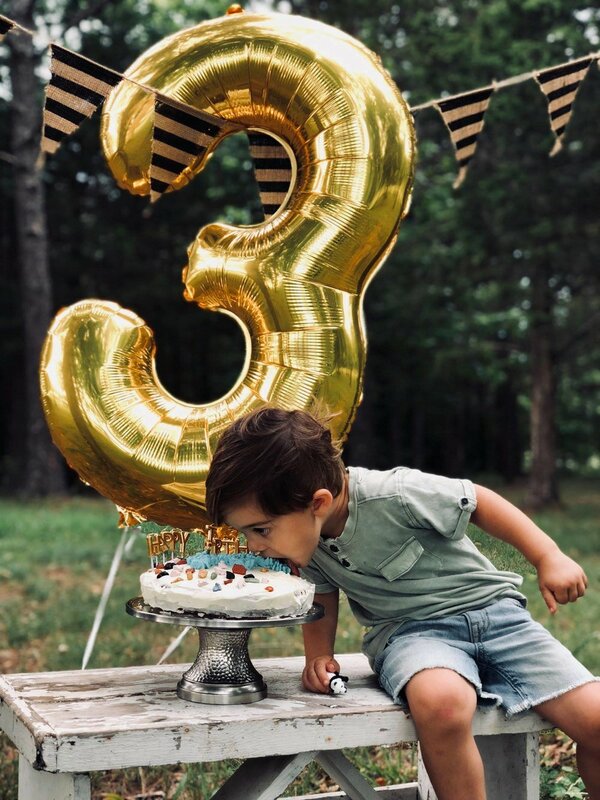 Then in July we celebrated Ezra’s third birthday! I told Zach what I heard and he said what?! No way we worked too hard on this and we just moved in. A week later we came to terms with what I heard and said “Well, if its really God’s plan lets list it for what we want and if it doesn’t sell then we’ll know it wasn’t meant to be”. 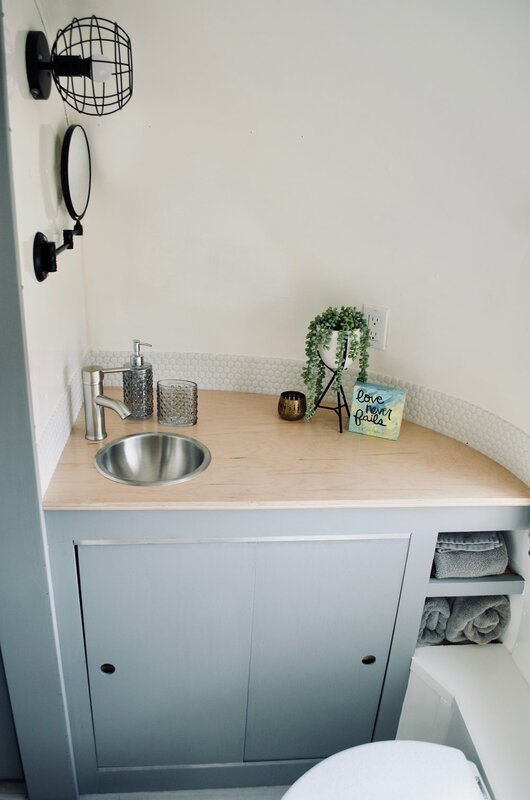 We listed it on craigslist, airstream classified, and eBay. We didn’t really have any bites so I decided to list it on our IG page. Two days later someone from Houston, TX contacted us asking if they could come look at it. We were so nervous. We didn’t really think it would happen and we didn’t have the next plan for IF it sold. She came to look that weekend, and when she walked in she said I want it, I just wanted to make sure it was real and looked like your pictures. haha. We knew from the second she walked in that she was the new owner. We told her that we didn’t name the Airstream yet, because we couldn’t come up with one we liked. She said don’t worry I already have one, “DeeDee” it was my grandmother’s name. As soon as she said it Zach and I looked at each other and knew, “wow, she’s the one!” She came and picked it up the next week. I won’t lie, we both cried tears of bittersweet. 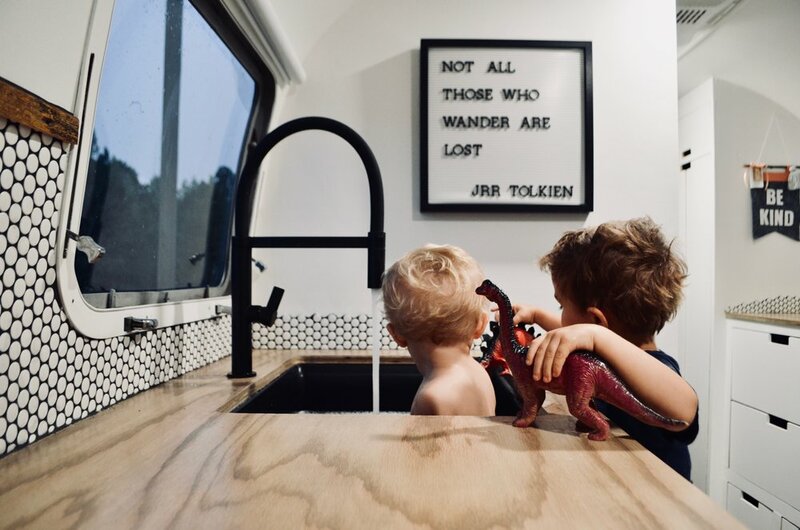 That airstream taught us so much about life, each other, etc. It was apart of us. Before they took it home, they spent the night in it one night to get a feel of how everything worked and when we walked in the next morning to see them and they had all their belongings in it now, instead of ours, I just felt supernatural peace. I wasn’t sad anymore it felt like this is exactly how it was suppose to be. 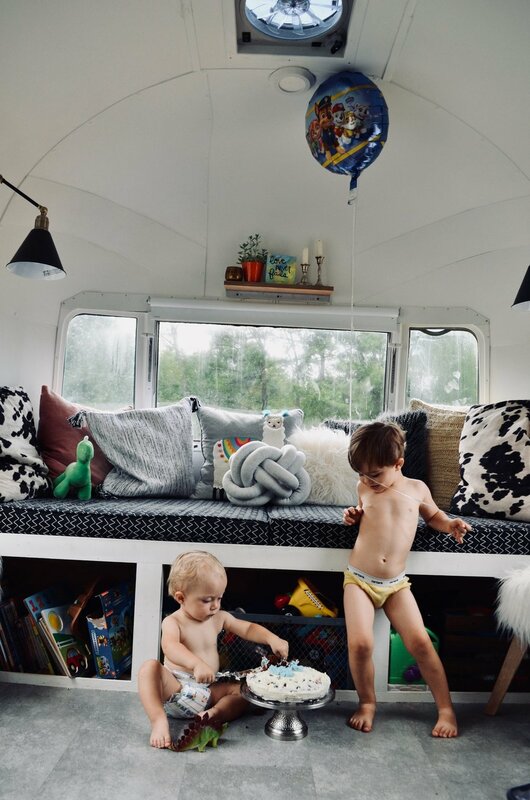 Watch the video if you want to see our last day in the Airstream & what our kids thought about it. Ezra still asks daily for “his airstream”. -So now, it’s the end of October and we don’t have a “home” and we are at a loss of what to do. Zach was almost done with Magdalene, so we debated about moving into it, but we’d run into the same problem with the cold temps and water at the hanger. So through this all we both have the most amazing supportive parents anyone could ask for. We moved into my parents rent house until we finished our next project. -Beginning of November, Zach finishes Magdalene and we tossed back and forth two ideas. Buy a tow vehicle and travel around in Magdalene OR buy a cargo van and sell Magdalene to travel. We prayed and prayed about which was right and at the end we both got that those were both good options, it just depended what we wanted. Most of November and all of December have been full work on van mode. -And here we are the last day of the year, wow. When I look back so much has happened, but yet it flew by and I’m thankful I decided to write this all down so I can look back in the years to come. I encourage you to journal what all 2018 brought you, good or bad. Its part of your journey and it’ll be nice to look back in the future. Colleen- Trust God in the big and little things and everything in between. I know that sounds so easy to say, but if you trust Him on the every day small disappointments, it’s a lot easier when the big disappointments come around. Zach- If you’re considering a lifestyle change and are nervous, take a weekend or week to adjust and once the time period is done reflect on how you felt. Did you miss any of the items/activities/etc. that you cut out? Minimalism is very refreshing and you will notice a significant attitude change with yourself by not having to stress about so much. Colleen- unrealistic expectations in motherhood, being a wife, in life. Zach- So, this one is kind of a funny/weird let go than most people would expect to see here, but it’s what came to mind when Colleen asked me this question. Hats... yes, me the hat-hoarder is fine with letting go hats. Turns out, that when I let go of like 20 hats and downsized to about 5 I noticed I didn’t wear them as much. It could also have been that I was working much more and had no need to wear a nice hat when you’re covered in dirt, sweat, and aluminum polish! Now, that still doesn’t mean that I wouldn’t mind new hats. I eye some hats here and there, but I know I have no room for them at the moment. My hat game is on a temporary leave at the moment. 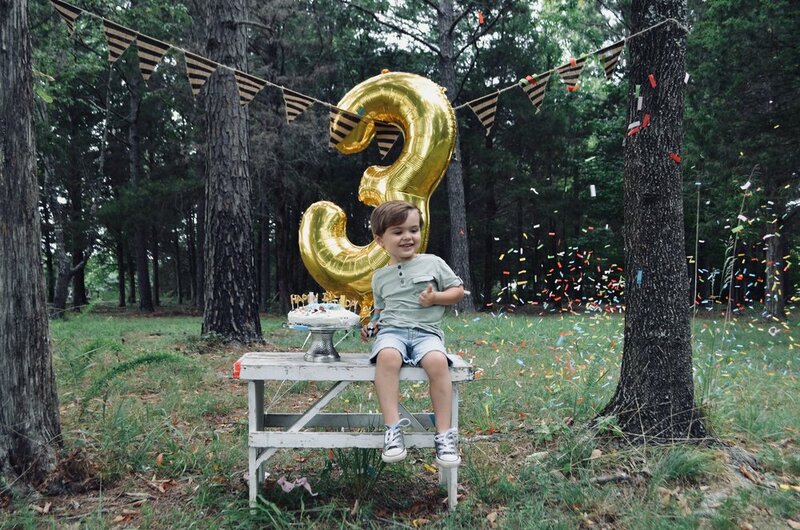 I can’t fully share all of our details yet, because we are currently letting God have the final edit, but I’m so excited and can’t wait to share. I will say a portion of our year will include travel in our van. Then we’d like to find somewhere to place roots in and continue our journey of renovating vintage trailers. We can’t thank you enough for loving us through this transition of life and for all the support. 2018 was hustle hustle hustle and we hope 2019 has a little bit more rest in-between the hustle. Zach and I haven’t written blogs like we wanted to, but we feel like 2018 was our year to heal and recover. We can’t wait to take time during our travels to sit still and write and share more with y’all.